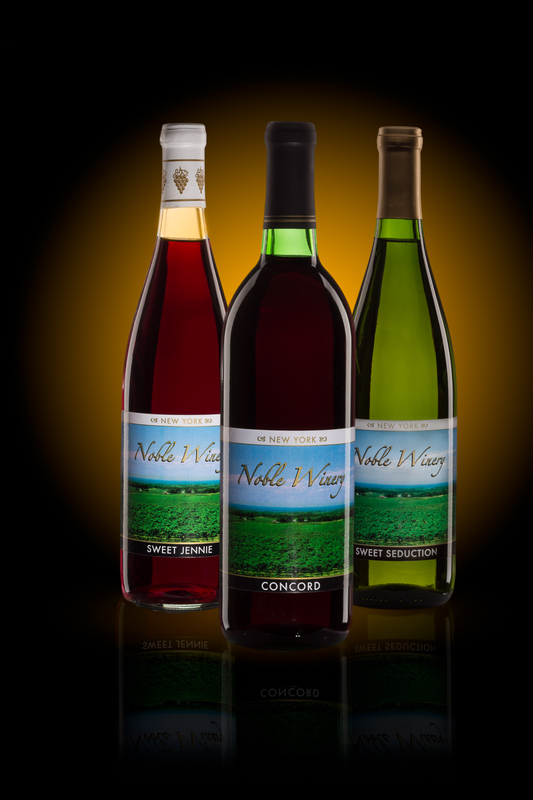 Each bottle was photographed separately on a white background and then removed from the studio shot using the selection tools in photoshop. 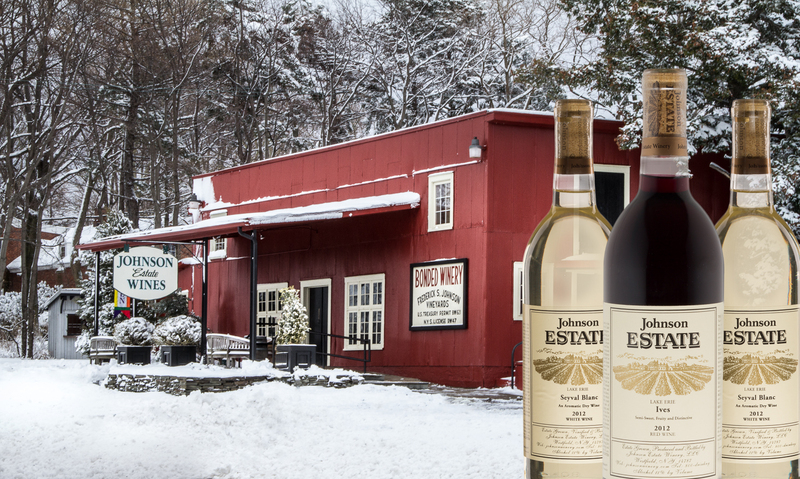 Once I had each wine bottle removed from the background I could build a background in photoshop as in the second version or I could take any image in my library and add the bottles over that image as I did with the Johnson Estate bottles and the winter image of the Winery and Gift shop. Categories : Chautauqua County N.Y., Chautauqua N.Y., Jamestown N.Y., photoshop, Photoshop Composite, Retouching, Small Product Photography, Westfield N.Y.